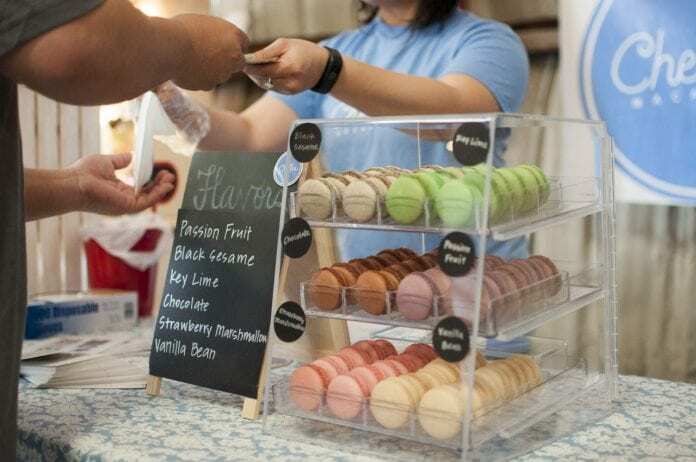 In an increasingly cashless society, being able to take take card payments at food festivals you attend is basically a business essential nowadays. But with so many card payment providers out there it can be confusing to figure out which one is right for you. Here’s two payment providers who are ideally suited to the needs of food festival sellers. People now carry less cash and are being actively encouraged to do so by banks with them beginning to add charges to cash withdrawals. Being able to accept card payments is an expectation by shoppers now and means you won’t miss out on a sale. Food fairs are full of impulse buyers but the last thing you want is for your buyer to walk away to go to a cash point. It gives them time to think about the purchase and change their mind. Taking a card payment, especially using contactless, is super quick saving you the time of sorting out change with your customer and having to make sure you have enough cash to make change. No need to fill out cash takings forms to log your sales. Todays payment processing automatically log your sales, which is ideal for tax time and some even have added stock management facilities included. If you’re a seller looking to take card payments at food festivals then here are two of the market leading options available. Both options fundamentally work the same but the costs work out slightly differently. To take card payments at food festivals you need to order a portable card reader which allows you to take card payment by chip & pin and contactless. Once this arrives, download the relevant app for your phone, set up your business details (including bank account so you can receive payments) and pair the device with your mobile phone. You’ll then be ready to take payments! ** the Sumup card reader is reduced to £19 + VAT until the end of July 2018. Click here to take advantage of the offer. Both readers are proving popular in the UK right now. SumUp is a great single device option if you are a small business looking just to collect credit card payments at a competitive price. However if you are looking for a single system to integrate all your stock management, ecommerce payments and credit card collections then Square is a much more sophisticated offering. Previous articleDo I Have to File a Tax Return Even If I Made No Money?